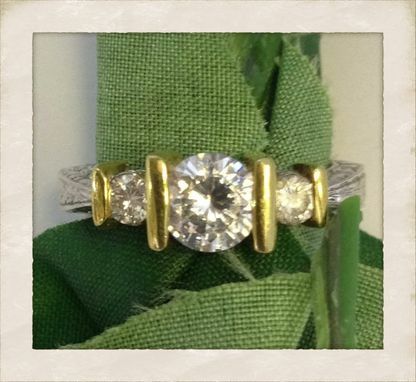 A simple and clean looking diamond ring. 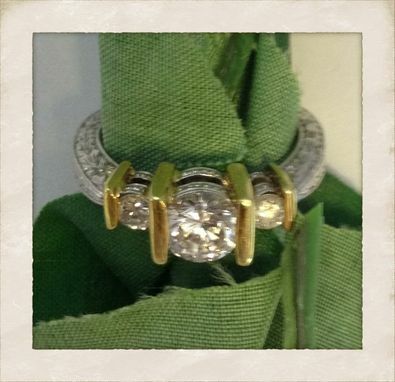 This ring is made for a 1 Carat Size Center Stone, which is offset by two 0.20 Carat Round Diamonds on each side. 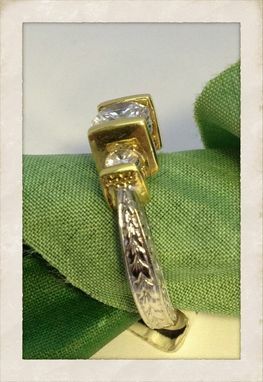 The Shank of the Ring consists of hand engravings consisting of wheat patterns. 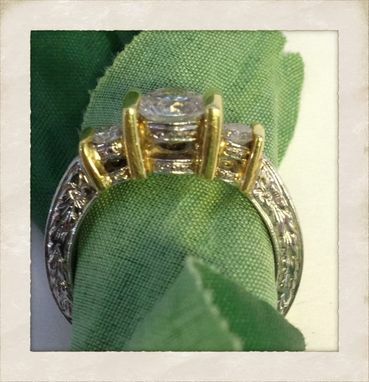 Very cool looking with a hint of art deco design finished in a two tone gold 14kt design.